Our individual stories begin with the story of our creation. My creation stories have come to me through the teachings of my tribe. My tribe is Penahwabskek, the Penobscot Nation, a small island nation that floats in the Penobscot River. We are the people of the dawn land; the keepers of the Eastern gate. Our relatives are the Peskotomuhkati, Wolastoqiyak and Mi’ kmaq’i (Passamaquoddy, Maliseet and Mi’ kmaq), together we are the Wahponahki. Our homelands are located along various waterways in Maine and the Canadian Maritimes. I was born Penahwabskek, and grew up on a small Indian reservation in central Maine. My community is located on a small island that is flanked on its eastern side by a series of white water rapids. Penahwabskek literally means the place where the white rocks come out of the water. It was here that I first learned of my place in creation. My tribe has a number of creation stories. Each story teaches us a different aspect of our being. One of those stories tells us that we were created when Kluskap, the man from nothing, shot an arrow into the ash tree and opened a doorway into this world. This story teaches us that we are made of the same elements that make up the natural world. In this story, we are born out of the ash tree. Thus, the ash tree is our kin and should be honored in the same way that we honor our human family. Today, our tribes still recognize our relationship with the ash tree by weaving our traditional baskets from its pulp. When we weave those baskets we are reminding ourselves that we are woven from the same foundational elements that make up all life on this planet. When we go into ceremony, our origination stories begin in the stars. When we enter the lodge, we learn that our original instructions are contained in the essence of those stars. They are held in the dust of Creation that lingers on the Creator’s hand. And, that it is from the radiance of that star dust that we were born and the great migration of souls first began. When we come into this universe we are born into our first ecosystem, our mother’s womb. There, we are nurtured and sustained through an umbilical connection to the body of our birth mother. When we are born into this world, our umbilical connection is transferred from our birth mother to the Earth mother. Our umbilical connection with the Earth mother then nurtures and sustains us for the remainder of our human lives. Though we have migrated a great distance, the radiance of that star dust still resonates within us. It is the essence of something indescribable that is etched upon our soul. It stirs something deep within us. This stirring is a call of recognition, of remembrance. It continuously reminds us that we are infinitely connected to one another, to the natural world, and to a unified divine source. Evidence of our shared origin can be found all around us. Science has finally caught up with what we have always known, that we are all related. We are all made out of the same foundational elements. It is simply the arrangement of those elements that gives distinct form to what we see before us. We share DNA with every other living being. Approximately 98% of our DNA is shared with primates, and about 35% is shared with plants. Our bodies, and the bodies of all living things, are comprised of simple stardust and water. We all come from the same originating source and we are all comprised of the same foundational elements. We are part of a uni-verse, a collection of individual notes in one continuous song; the song that sang all life into being. If we listen closely, we can hear this creation song echoing in our bones. It exists in a vibrational frequency that emanates throughout the entire universe and resonates deep within us. This tone is the voice of creation; the voice that first spoke and brought all life into form. Each individual soul carries its own unique vibrational tone, and each tone carries the seed of that being’s life path. When that seed is planted, even before the first shoot comes up through the ground, the vibration of that tone exists within it. This tone sets the rhythm for the new life that is being cultivated; it is that individual being’s creation song. As Indigenous people, we are taught to live our lives in a balanced rhythm with the harmonic frequencies that surround us. This is why our teachings rise out of an oral tradition. Our history has been passed orally, not because we lacked the ability to translate our words into written form, but because we have always realized that our words have an alchemy that is capable of creating form. Our language is the vibrational expression that gives form to the animate universe. Every vocal expression that is released creates its own unique resonance. As we speak, we are weaving layers of sound that merge into harmony with the entire creation. This harmonic symphony brings into form the reality that we see before us. We also understand that the way that we speak to creation defines the place that we hold within creation. Our language creates a sense of kinship with the world around us. When I am asked who I am and where I come from I am able to answer with one word, Penawahbskek. I was born and raised on the traditional homelands of the Penobscot Nation, which is located in the waters of the Penobscot River. This land has been occupied by the Penobscot people for more than ten thousand years. For me, being Penahwabskek means that my roots are embedded in that land and nourished by the waters of the Penobscot River. We are deeply entwined - me, the land and those waters, and I am tied to the generations of others who have their roots embedded in that land, past, present and future. When I define myself as Penahwubskek, I express how my deep connection to that place makes the distinction between the land, those waters, and who I believe myself to be indistinguishable. This one simple statement begins to paint the picture of the basic worldview that frames my reality. This world view, though personal and unique, is formed of a framework that is shared by people across the globe. The relationships that exist between people and place are often memorialized through defining words that merge into story. As indigenous people, our lives are comprised of these words and the stories that they illustrate. These words and stories paint a picture that brings into form all of the elements of our existence. They provide a clear view of our unique cultural landscape and they offer us a defined sense of place within the world. In order to fully recognize our place in creation, we must realize that our stories are not the only stories that are being told. Every living thing has its own creation song, its own language and its own story. In order to live harmoniously with the rest of creation we must be willing to listen to and respect all of the harmonies that are moving around us. The only way that we will be able to hear these harmonic vibrations, is to become multisensory beings. We must tune in to our ability to see beyond the physical reality that surrounds us, and awaken to the vast unseen world that exists. Then we can begin to see beyond sight and to hear beyond sound. We see the underlying structures that support our world and life begins to take on new shape, new meaning. When we live as multisensory beings we find that we are able to comprehend the language of every living thing. We hear the voices of the trees, and understand the buzzing of the bees. And, we come to realize that it is the interwoven substance of these floating rhythms that holds us in delicate balance with all life. Then, our life and our place in creation begins to makes sense in a whole new way. Our vision expands to see the overall order of our path, and our hearing tunes in to a whole new source of information. Once we become attuned to this new information, we can integrate this into our physical experience and harmonize our entire being with the vibrational reality that surrounds us. Then we will become witness to the perfect orchestration of divine order. We will recognize that when the trees breathe in carbon dioxide and release oxygen, our lungs mirror that movement, by breathing in the oxygen that is generously given and releasing carbon dioxide back to the trees. When we merge our internal rhythms with the rhythms of creation we develop grace in our movement, and without thought or effort we are able to slide into the perfectly choreographed dance of life. I remember my first moment of conscious engagement with this dance. I was a young woman, in my early twenties. It was a warm early summer day and I was seated in a meditative state in my back yard. At that time, I was learning how to track energy. For several months I had been deepening my ability to see the life force that permeates our world. As I was sitting there, I noticed a tiny ant crawling across a blade of grass. As I watched the ant move along, his little body began to light up. Then, the blade of grass that he was walking on lit up. As I sat there and watched, the entire area surrounding me began to light up. I slowly raised my eyes and the entire field became illuminated, as did the trees that sat on the other side of the field lining the forest. Every bird that flew into my line of vision had an added layer of light surrounding it. I sat very still, quietly marveling over this new found sight, afraid to move and lose it. While I sat there observing my newly illuminated world, I noticed something intriguing. The field of light that I was seated in was rising and falling in unison. As I watched the Earth breathe around me, I felt my own breathing fall into harmony with it. Everything became sharper; all of my senses came alive. While I sat there breathing with the world around me, the firm lines of my being began to fade. I felt myself expanding and merging with all that I was observing. There was suddenly no separation between myself, the ant, the grass, the trees and the birds. We were breathing with one breath, beating with the pulse of one heart. I was consumed by this achingly beautiful and complete sense of kinship with the entire creation. This single moment of open awareness allowed all of the teachings that I had been raised with to sink deeply into my heart. I got it. Following that experience my intuitive abilities dramatically increased. I was able to receive clear messages from my guides and teachers, and I began to see the world in a whole new way. The concept of oneness was no longer an abstract concept in my mind. All of the mythology from my upbringing began to take on a whole new meaning. I finally understood these amorphous concepts of oneness and interrelatedness that I had been hearing about since I was a child. I had been contemplating this new found awareness for months when the universe decided to provide me with a deeper lesson. One weekend, while I was home visiting family, I found myself in a long line of traffic on Main Street. I sat there watching the people walking up and down the street and sitting in the cars that were surrounding me. While I watched them, I was thinking how nothing appeared to have changed over the years. I wondered how much people could learn while staying in the same small town for their entire lives. The moment I thought this, I realized that there was a part of me that was judging them. As soon as I recognized that uncharitable thought, several people turned to look at me. As I looked back at them I noticed that they all had my face; the people on the street, the people in the cars, they were all staring back at me with my own eyes. In that split second, I had flashes of countless lessons being learned simultaneously. We were all learning those lessons individually, but at the same moment in time. I realized then that we were all deeply and inextricably connected. I understood on a deep level that we are all expressions of the same source, having a simultaneous experience of ourselves. It only lasted for a split second, but the impression of that moment will stay with me forever. We all originate from the same divine source, and we will all return to that source when our learning is complete. During our journey, we will have many of the same experiences, seeing the world and one another from multiple angles and through multiple lifetimes. Sadly, there will also be times when we will lose sight of this basic fact. During those times, we will become lost in the unfolding stories of our own individualized realities. Albert Einstein once talked about the illusion that is created by this belief in separation. He described it as a prison that restricts our awareness of connection to the whole. This is an idea that still seems fantastic to many people around the world. But, it is a belief that has been held by Indigenous peoples since the beginning of time. Our songs, stories and mythologies all speak of our interrelatedness. From birth, we are taught to be aware of the expanded kinship networks that surround us, which includes other human beings, along with the beings of the land, water and air, the plants, trees and all remaining unseen beings that exist within our universe. This multisensory understanding of life is now blossoming across the planet, we are witnessing humanity awaken to a whole new level of being. We are able to recognize, for perhaps the first time in our history, that we are in the process of an evolutionary leap, which makes this a very exciting time to be alive! Our challenge is to re-member all of who we are. We begin this process by expanding our awareness to include the entire creation, just as I did that day in the field with the tiny ant. In that moment, I was able to alter my awareness by shifting my vibrational level to match the vibrational level of the world around me. This awareness created a kinship between me, the ant, the grass, the field, the birds and the trees. And, again, with the people on the street that looked back at me with my own eyes. In those moments, I was able to experience a glimpse of the fullness of our interrelatedness. These simple moments in time, changed the way that I saw the world completely. A full layer of illusion faded away and a new view of reality appeared before my eyes. This did not happen because I am special or unique. Every one possesses the same ability to shed their illusion and see the world as a unified whole, simply by expanding their awareness and shifting their vibration. Once we have mastered these vibrational shifts we can begin to shift the reality that we live in, to one that is more harmonious and balanced with our divine source. 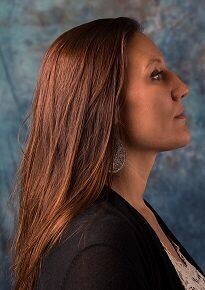 Sherri Mitchell (Penobscot) is an Indigenous rights attorney, writer, speaker and activist. She was born and raised on the Penobscot Indian Reservation. 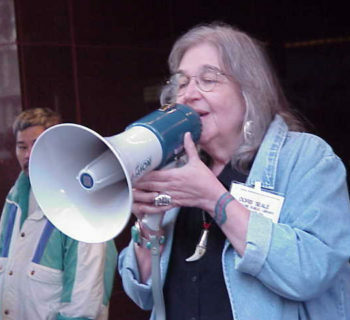 Sherri has been an advisor to the American Indian Institute’s Healing the Future Program and the Indigenous Elders and Medicine People’s Council of North and South America. She was a participant in the American Indian Ambassador and the Udall Native American Congressional Internship Program. 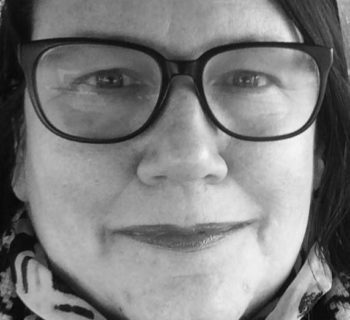 Sherri is the recipient of the Mahoney Dunn International Human Rights and Humanitarian Award and the Spirit of Maine Award for Commitment and Excellence in the field of International Human Rights. Her writing has been featured in numerous publications, journals and anthologies. 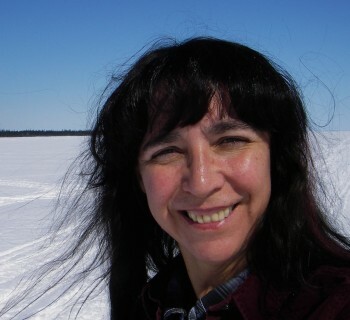 Sherri currently serves as Director of the Land Peace Foundation, a legal services organization dedicated to the protection of Indigenous rights and the preservation of the Indigenous way of life. John Christian Hopkins and Trace DeMayer: 11-11-11 e-launch!